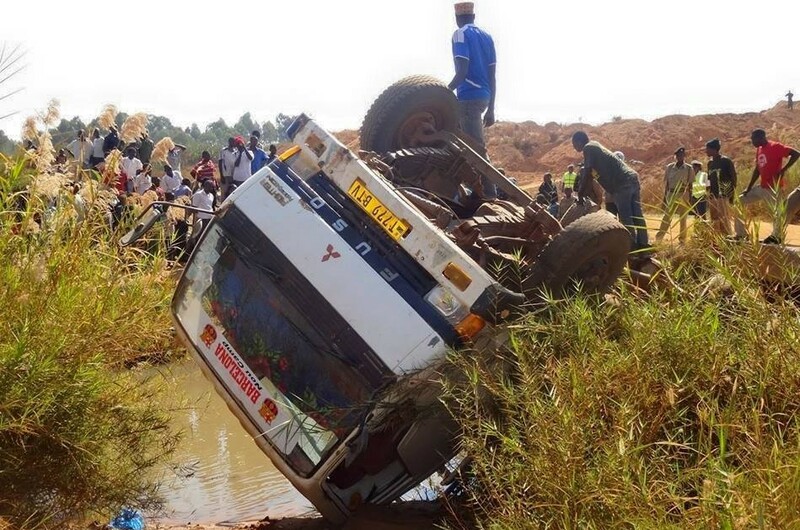 A FUSO brand vehicle from the Sebele market to the city of Baraka earlier this week overturned in the village of Kakomba, 8 kilometers south of Baraka in the Democratic Republic of the Congo’s Fizi Territory, carrying passengers and cargo. Seventeen people died on the spot and two others passed away at MSF Holland’s general referral hospital in Baraka, making a total of 19 people, including 14 men, 4 women and a young child, and 27 seriously wounded. According to a mother who escaped death in the accident, after the first jolt, the vehicle projected the passengers into the bush. The truck overturned the victims at the second jolt. The driver was at high speed and in a state of drunkenness. Until the night before, the majority of the Baraka population waited outside the hospital for a statement from their relatives. This is not the first accident on National Highway No. 5 in Fizi territory. The last one occurred in Lweba, 12 kilometers north of Baraks or another vehicle carrying embers and passengers finished its race in a Bridge causing the death of 6 people including two women. The poor state of the roads is also part of several road accidents in the Territory of Fizi. The civil society of the Fizi Territory points the finger of blame to the police of road safety in order not to exercise their work in a constructive way. Byobe Malenga has experience spanning more than 11 years in Journalism, particularly in field reporting, editing, newscasting and management. 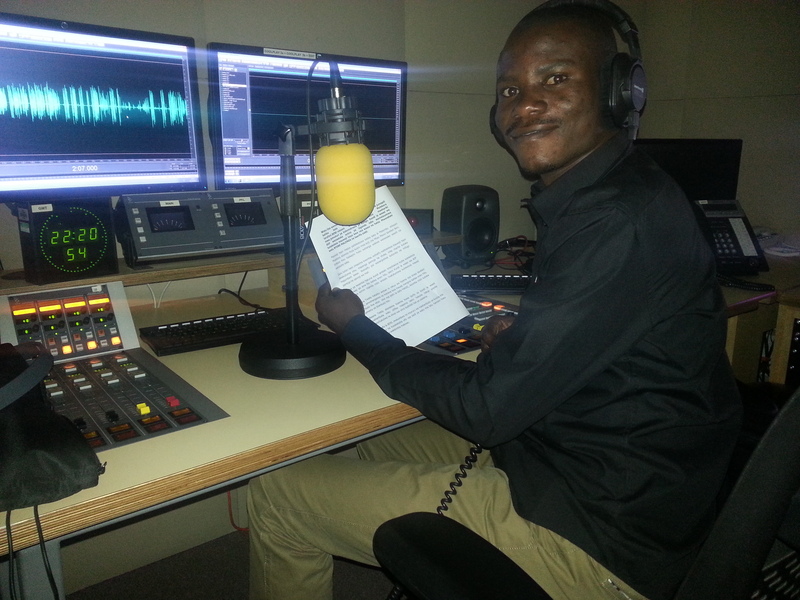 He is currently working with the BBC World Service as a reporter in eastern Congo DR for Swahili desk, Radio, TV and online. In addition to this Byobe Malenga works as a media consultant in the Democratic Republic of Congo. He is also the multimedia journalist, as well as Editor of the newspaper ‘Journal FIZI DAIMA ’. Malenga has already participated in several reporting missions on behalf of radio stations such as Radio Television Groupe d’Avenir- Kinshasa as well as numerous training missions, animation workshops and support as the strategic planning and operational. He has already made several trips to Africa taking in Burundi, Tanzania, Rwanda, Uganda, Kenya, Malawi, Zimbabwe, South Sudan, Lesotho, Namibia, and Mozambique, the Republic of central Africa and the Congo Brazza and South Africa. He has worked with the media (written and spoken press) for several years in various fields such as production of commercials, jingles, magazines, newspapers and other emissions. He has capitalized on the valuable experience of working with foreign radio in areas of partnership, social mobilization around water points, the setting-up of committees, etc.